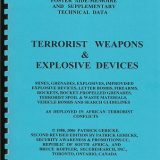 errorists have used magnetically-attached mines for the past 30 years to destroy vehicles, boats and infrastructure with steel underpinnings and supports. 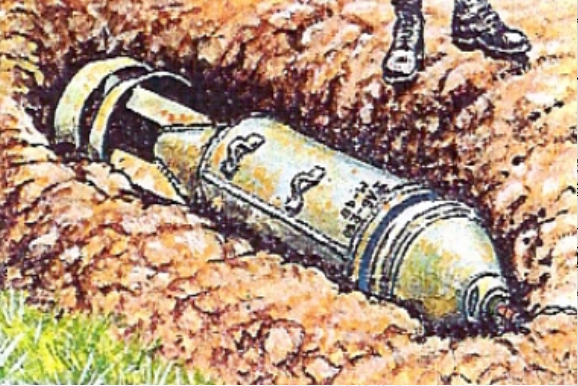 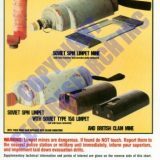 This poster illustrates three types of “LIMPET” mines, that have been primarily manufactured for use by naval special underwater sabotage teams, but have come into the hands of terrorists. 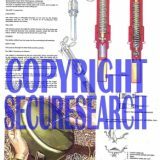 This security poster features the fuze’s description, fuze body, striker, axial pull/safety pin, radial pull/safety pin, pressure, and pressure release, illustrations of the fuze’s functions, a sectioned UMNOP-1, the UMNOP-1 fitted to a TM-200 demolition charge, and the fuze set for pressure activation. 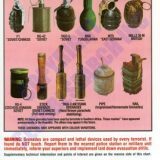 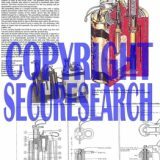 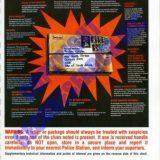 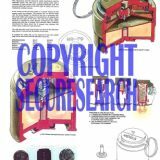 This security poster features the UMP-2 Booby Trap Fuze’s specifications, a UMP-2 fuze with transit safety, and a sectioned UMP-2 fuze.This security poster also shows illustrations and descriptions on how to prepare the fuze and on setting the fuze in the explosive. 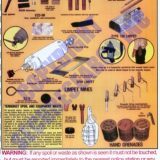 This security poster features the fuze’s description, fuze body, striker, striker spring, cap or unscrewing safety, priming adapter, and cork block as well as the UDOd-1 fitted with the M-67 detonator, a packing box for 10 fuzes, and the UDOd-1 with flanges, with rings and set up as a vehicle bomb. 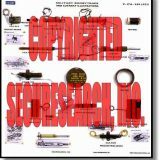 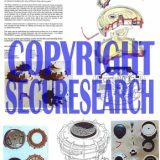 This security poster features the timer’s description, fuze housing, clock mechanism, striker release mechanism, escapement blocking lever, striker, primary adapter, electrical connector, and functions as well as the exploded view of the SU-24 and an open view of the SU-24. 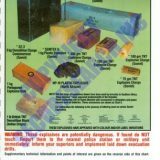 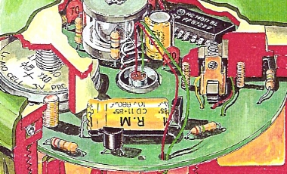 This security poster features the timers’ specifications, an exploded diagram of the VZD-3M, the time delay chart for the VZD-3M, a sectioned VZD-6Ch, photographs of the Bakelite container, MD-2 detonator, VZD-6Ch, wrapped VZD-3M, and the VZD-6Ch mechanism with the VZD-3M. 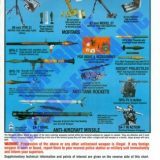 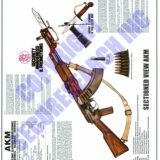 This security poster features the complete components of the MVE-72 illustrated and labelled, the MVE-72 Russian initiator’s technical specifications, and an illustration from a Russian sales brochure showing the deployment of an MVE-72 and a MON-50 mine. 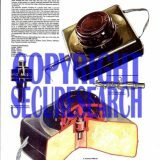 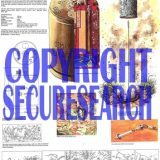 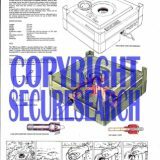 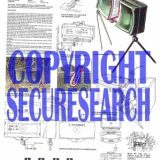 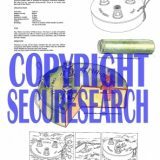 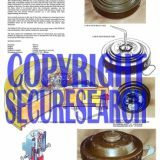 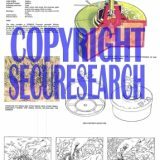 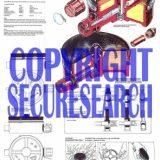 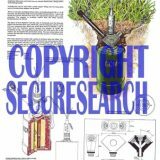 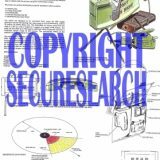 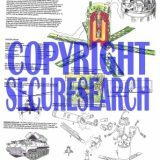 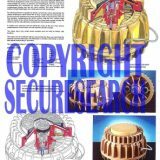 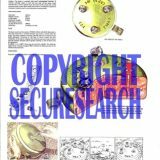 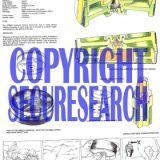 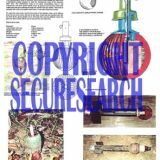 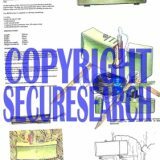 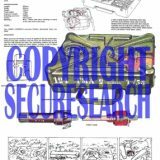 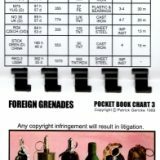 This security poster features a labelled sectioned view or an armed TMRP-6 as well as illustrations and descriptions on how to disarm the TMRP-6 Yugoslavian anti-tank mine, including extra explanations and illustrations for the TMRP-6’s boobytraps and clearing the TMRP-6. 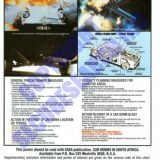 This security poster features illustrations and descriptions on how to disarm the mine, the mine’s specifications, fuze, and operation, a sectioned TMA-5 mine, a bottom view of the TMA-5, a TMA-5 with fuze cap removed, the fuze with shipping cover for the detonator, and the UANU-1 fuze. 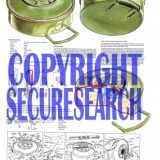 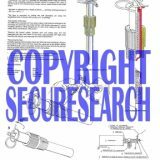 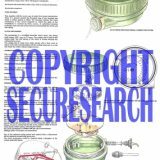 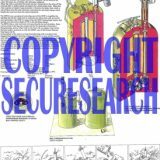 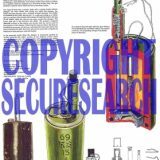 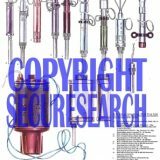 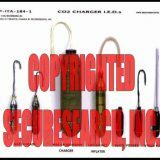 This security poster features the TMA-4 Yugoslavian anti-tank mine’s specifications, fuze, and operation, illustrations and descriptions on how to disarm the mine, a sectioned TMA-4 with three UTMA-4 fuzes and a plastic shipping tube for three UTMA-4 fuzes. 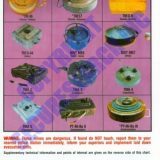 This security poster features illustrations and descriptions on how to disarm the mine, the mine’s specifications, fuze, and operation, a sectioned TMA-3 with two UTMAH-3 fuzes and one fuze well cap, a wooden transit box for UTMAH-3 fuzes, fitting an anti-lift fuze, and the top view of the TMA-3. 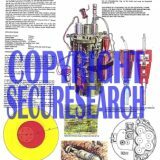 This security poster features the mine’s specifications, fuzes, and operation, illustrations and descriptions on how to disarm the mine, a boobytrapped TMA-2 mine, the bottom view of the TMA-2 with stake attached, the UANU-1 fuze, and a sectioned TMA-2 with UANU-1 fuze. 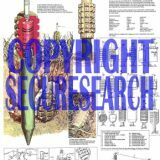 This security poster features the mine’s specifications, fuzes, and operation, illustrations and descriptions on how to disarm the mine, a TMA-1 mine with UANU-1/UTMAH-1 fuze and UMOP-1 fuze, and a sectioned TMA-1 mine showing the closure cap in the booby trap fuze well. 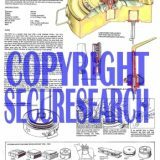 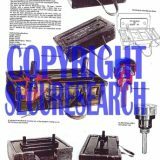 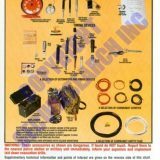 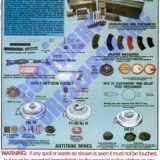 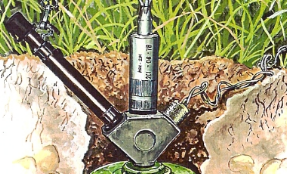 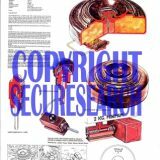 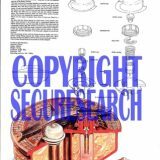 This security poster features the mine’s specifications, fuze, and operation, illustrations and descriptions on how to disarm the mine, a sectioned TMM-1, a TMM-1 mine without pressure plate, and the UTMM-1 fuze with rubber cap. 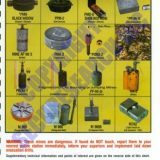 This security poster features the TM-62T Russian anti-tank mines’ specifications, and TM-62T anti-tank mines with the MVN-72 fuze, the MVCh-62 fuze, the MVN-62 fuze, the UMPN-68 fuze, a fuze from the UMPN-68, and a Russian copy of the American M14 mine and descriptions of these fuzes. 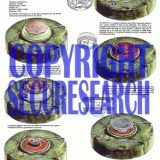 This security poster features the TM-62P & TM-62P3 Russian anti-tank mines’ specifications and the MVP-62 fuze, a sectioned TM-62P3 with the MVP-62 fuze, a schematic view of the MVP-62 fuze, and a TM-62P2 with an East German fuze marked MWP-62. 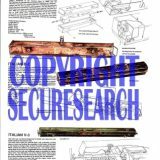 This security poster features the TM-62P Russian anti-tank mine’s specifications, a Romanian MAT-68 with the P-62 Fuze, boobytrapped by UNITA guerrillas, and a TM-62P with the MVP-62 fuze. 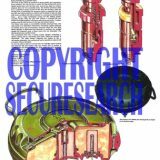 This security poster features illustrations and descriptions on how to disarm the and the mine’s specifications and the MVCh-62 fuze, the bottom of the TM-62M mine, a TM-62M mine, a sectioned TM-62M mine, and an exploded view of the MVCh-62 fuze. 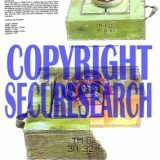 This security poster features the TM-62B Russian anti-tank mine’s technical specifications, a TM-62 with the MVP-62 fuze, and a sectioned TM-62B with the MWP-62 fuze. 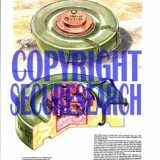 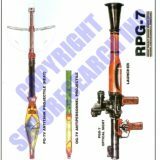 This security poster features the TM-62D Russian anti-tank mine’s technical specifications, a TM-62D mine with the MVCh-62 Clockwork delay to arm fuze, and a sectioned TM-62D with the Russian copy of the Romanian P-62 plastic pressure fuze. 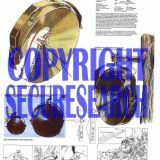 This security poster features the mine’s technical specifications, a sectioned TM-57, a TM-57 with MVSh-57 fuze, a photograph of a TM-57 with MVZ-57 fuze, a photograph showing the base of the MVZ-57 fuze, a UI-TM-60 practice mine and a sectioned striker assembly. 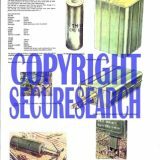 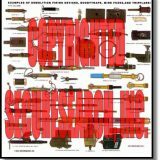 This security poster features the mines’s fuzes and technical specifications, illustrations and descriptions on how to disarm the mine, a sectioned TMN-46, a TM-46, illustrations of the Russian Anti-Tank Mine development 1936-1946, a sectioned MVSh-46 fuze, and a sectioned MV-5 fuze. 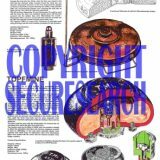 This security poster features the mine’s technical specifications, a sectioned TMD-B showing the MV-5 fuze, booster and wrapped charges, a sectioned MV-6 fuze, a TMD-62D with MVCh-62 fuze, a sectioned TMD-44, and a TMD-44. 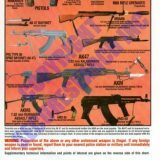 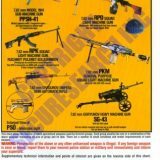 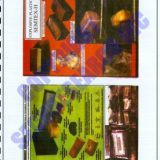 This security poster features the PTM-1S & PTM-3 Russian anti-tank mines’ technical specifications, the PTM-1S, the PTM-3 cluster mine and a sectioned view of the PTM-3, and photographs of the PTM-3 in KPTM-3 container. 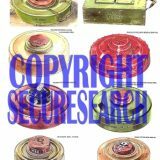 This security poster features an MZU-S connected to the charger/delay setting box and the MZU-S Russian Anti-Tank Mine’s technical specifications. 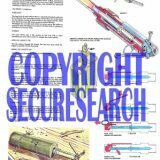 This security poster features illustrations and descriptions on how to disarm the mine, the mine’s description, technical specifications, and fuze, sectioned views of the MAT-76 with the fuze in unarmed and armed condition, the MAT-76 Bakelite cased mine, and the pressure fuze components. 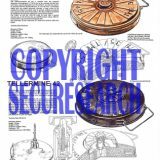 This security poster features the technical specifications of both the mines, a sectioned Topfmine, the top of a Topfmine, the bottom of a Topfmine, a sectioned Tellermine 43 with the Tellerminezunder 42 fuze, a Tellermine 43 with the Z.Z.42 – Kippzunder, and a Tellerminezunder 43. 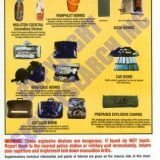 This security poster features the technical specifications of the mine, the sectioned mine, the mine’s transit case, the lid reversed for transit, the mines laid in their transit cases, the transit case open to show two fuzes, a sectioned RO-7-II fuze, and an RO-7-II fuze with a clear plastic cap. 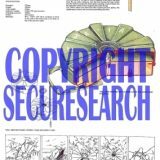 This security poster features the technical specifications of the mines, the methods of delivery, a sectioned view of a PFM-1, an illustration of the mine being picked up by the thin wing, marking variations, MVDM fuze operation, and two mines connected by the safety clip. 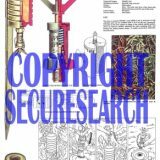 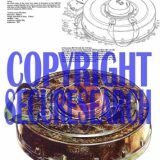 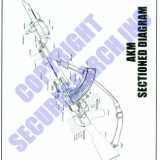 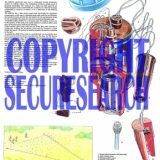 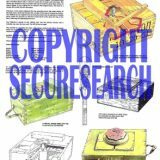 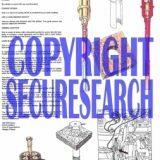 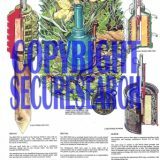 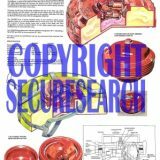 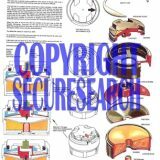 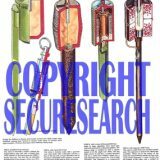 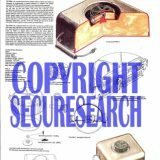 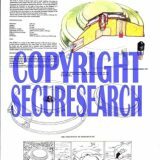 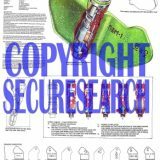 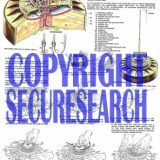 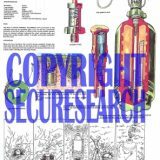 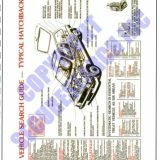 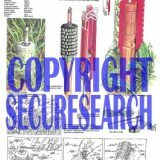 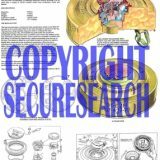 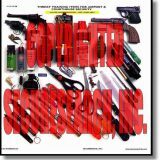 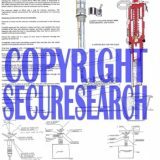 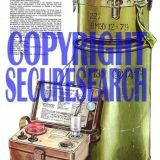 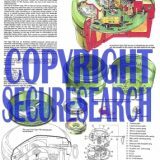 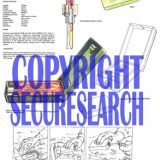 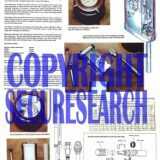 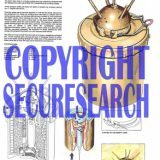 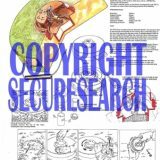 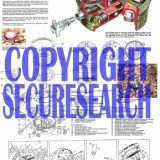 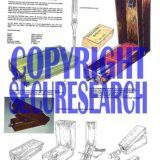 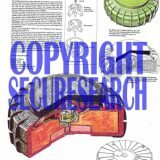 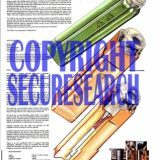 This security poster features the technical specifications of the mines, illustrations and explanations regarding how to disarm the mine, sectioned illustrations of both the OZM-3 and the OZM-4 mines, and a size comparison of the OZM-3 and the OZM-4. 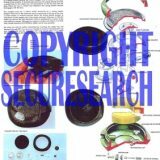 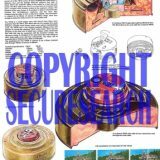 This security poster shows the technical specifications of the Chinese Type 69 Anti-Personnel Mine, the bounding mine with a Vietnamese sheet metal copy of the MUV fuse, a sectioned Type 69 mine with the Type 69 fuze, and the Type 69 fuze, section, and its components.